-may need a letter of invitation Canada does not pay for hospital or medical services for visitors. Make sure you have health insurance to pay your medical costs before you leave for Canada. An officer will ask you a few short questions when you arrive. To make this go quickly, keep your passport with you and not in your luggage. The officer will stamp your passport or advise you how long you may stay in Canada. Feel free to ask questions if you are unsure about anything. After you arrive, you may want to change the conditions of your visit. This is possible in special cases. You must do this before your status as a temporary resident expires. Apply to extend your stay or visit three weeks before your visa expires. Visitors from some countries will need a Temporary Residents Visa (TRV). Check to see if you need a TRV. 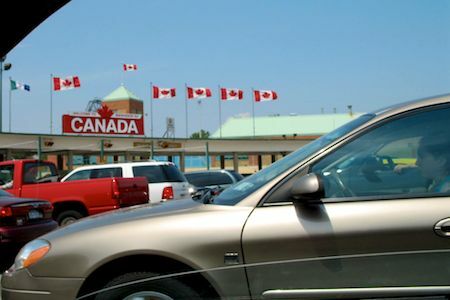 Whether by boat, by plane, by car or by commercial vehicle — there are ways to simplify your border crossing. Here is the important official information official information for travelers. The CANPASS program is intended for regular users and can be a real time saver. If you plan to enter Canada from a remote area you can apply ahead of time. Find out how, using CANPASS Remote Area Border Crossing program. Print the Temporary Resident Visa application form with guide. Check with the Canadian visa office in your country to see if there are any additional forms you need to fill out. The information presented above is from Citizenship and Immigration Canada. Please visit their site for the official version.